Clark School alumni change the world in ways large and small. Each year, the University of Maryland Alumni Association and the Engineering Alumni Network select a handful of these inspiring Terps, as well as friends of the Clark School, for recognition. 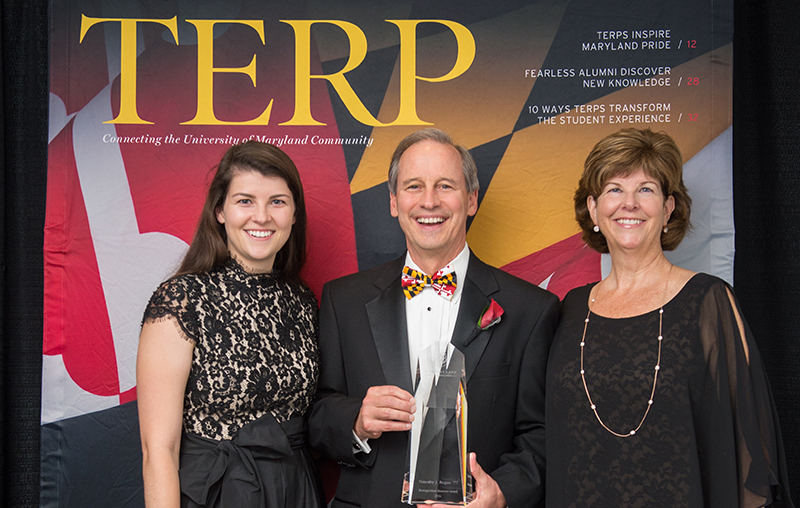 Timothy J. Regan was recognized as a distinguished Clark School alumni at the 2016 University of Maryland Alumni Association Awards Gala.